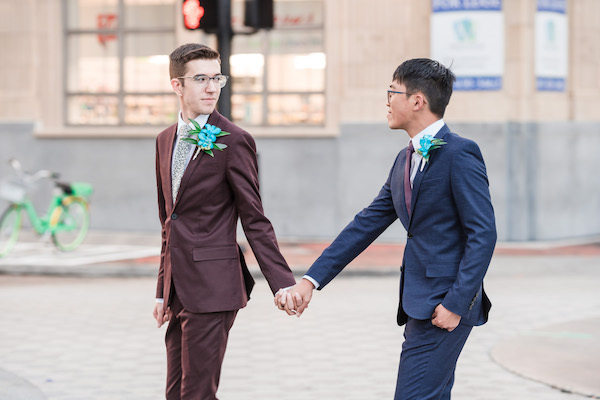 Our John Michael Exquisite Weddings and Catering team loved working with Logan and Albert on the catering and service for their downtown Orlando wedding, which was a unique as they are. 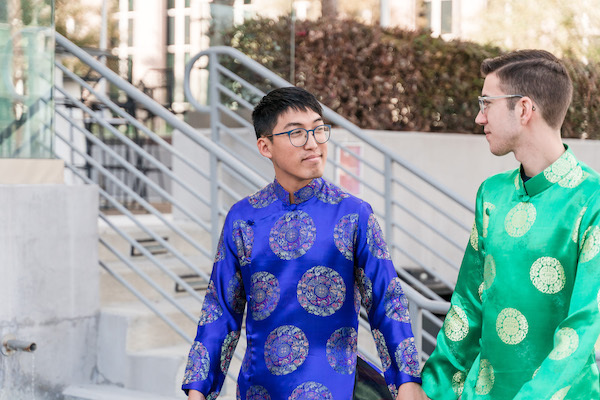 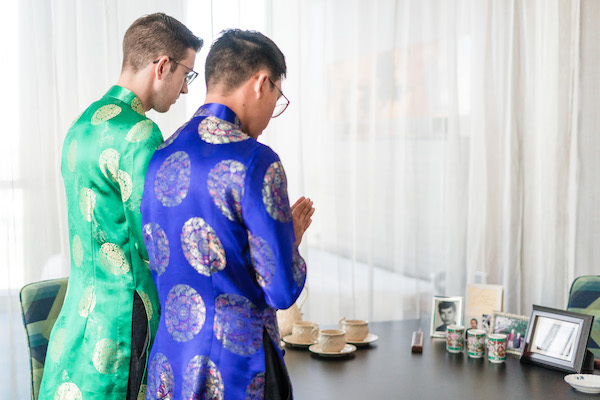 The grooms began their day in a traditional private family Tea Ceremony, followed by some wedding photos on the streets of Orlando. 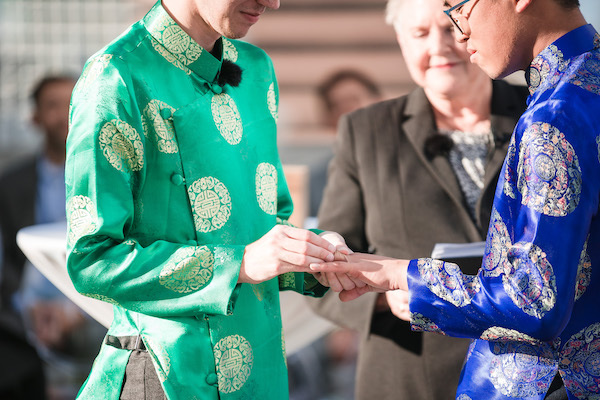 Both grooms looked quite handsome in their brightly colored silk tunics and the tailored suits that followed. 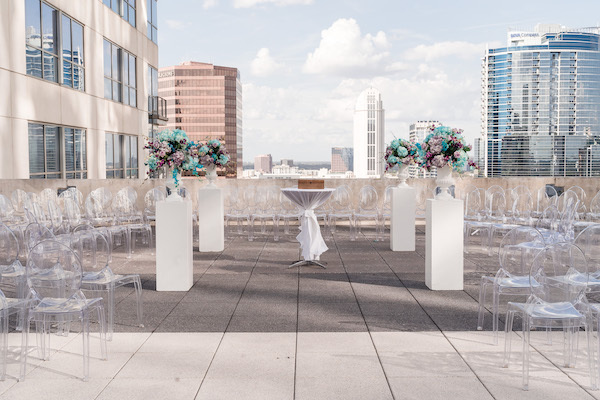 Their downtown Orlando wedding ceremony took place at The Balcony Orlando, a rooftop wedding venue in the heart of downtown with nearly 10,000 sq. 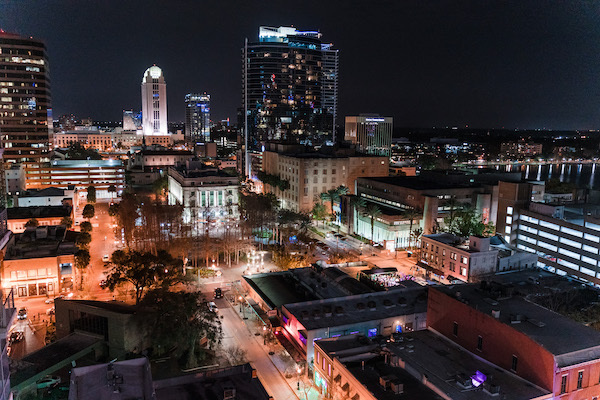 ft. of outdoor event space under a canopy of market lights. 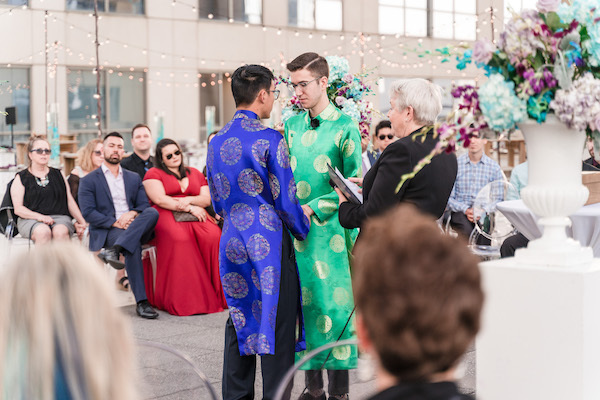 The beautiful wedding ceremony in the round included a wine ceremony as well as an exchange of wedding rings, surrounded by family and friends. 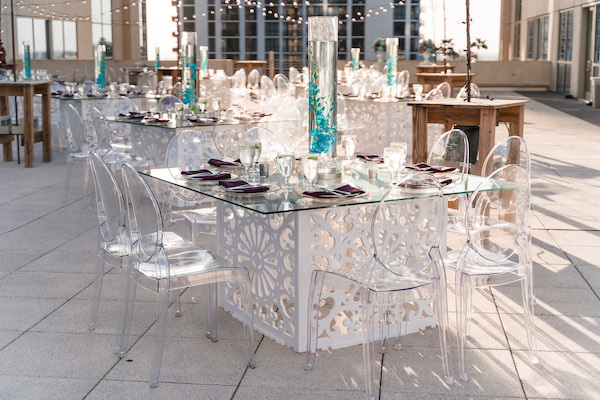 Modern glass top tables, clear acrylic ghost chairs and eggplant colored napkins set the stage for the buffet dinner reception that followed. 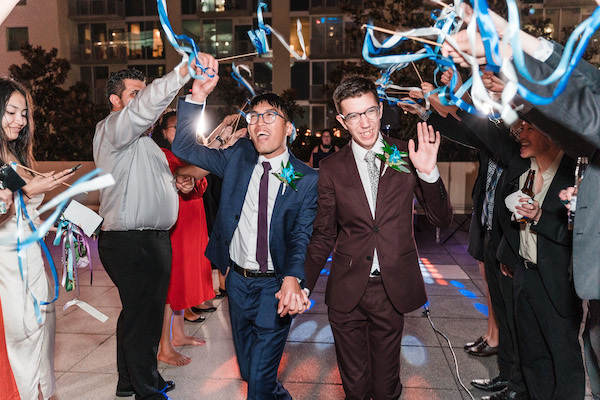 Dinner concluded with an evening of dancing under the stars before the grooms made a grand exit in a flurry of ribbons. 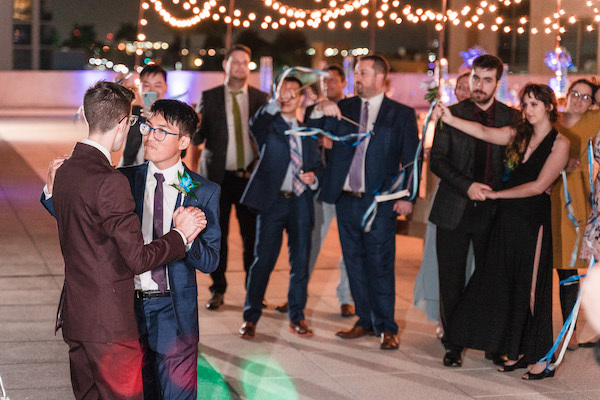 Congratulations Logan and Albert, our John Michael Exquisite Weddings and Catering wish you a lifetime of happiness and adventures as unique and fun as the two of you.